Universal adhesive tape for airtight bonds from Pro Clima. For internal use only. Universal paper based adhesive tape for permanent, airtight and secure bonds indoors in accordance with DIN 4108, SIA 180 and ÖNorm B8110-2. 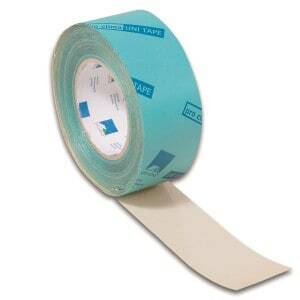 The UNI TAPE PATCH comes in 180 x 180 mm pre-cut patches for sealing injection holes indoors, or large perforations. Material/s Acrylate which is free of solvents or softeners.